It seems that the photo of the incoming Nexus 5 "leaked" to the web. Of course, I believe that nothing happens mistakenly, especially when it comes to Google. Let's call it "official leak" then. As you can see, the device is powered by the Android 4.4 KitKat with a refreshed User Interface. It still has a very minimalistic design, so probably there won't be an "interface revolution", which appears to be a common policy by Google. And it seems to work quite well, looking at the marketing success of the Nexus 4. Not much we can say yet about the visual changes in the Android 4.4 KitKat, but looking at the picture you can see white notification icons and refreshed "Phone" and "Camera" icons. Personally, I think that the new Nexus 5 looks gorgeous. The volume buttons are again on the left and the power button is on the right side, which is the best combination (typical for Nexus devices), because you can easily turn the device ON with your thumb right after grabbing the device into your hand. It also seems to be made of an really high quality material. The screen would be probably IPS LCD 4,95" with a 1080p (Full HD) resolution. If the rumours are true that the heart of the new Nexus 5 will be a Snapdragon 800 SoC, then I see no other scenario but a great success of this device. it is not a galaxy nexus 5. Ok I get the point and you are of course right. Corrected already. Yes. And actually I own Galaxy Nexus so for now reason I was used to use "Galaxy Nexus" term. As I said already, I fixed the typos as it's of course LG device. Looks ugly; lets hope that screen colour reproduction, camera and build quality are improved from the Nexus 4. I never said I hate plastic :) And I didn't say I like plastic either. 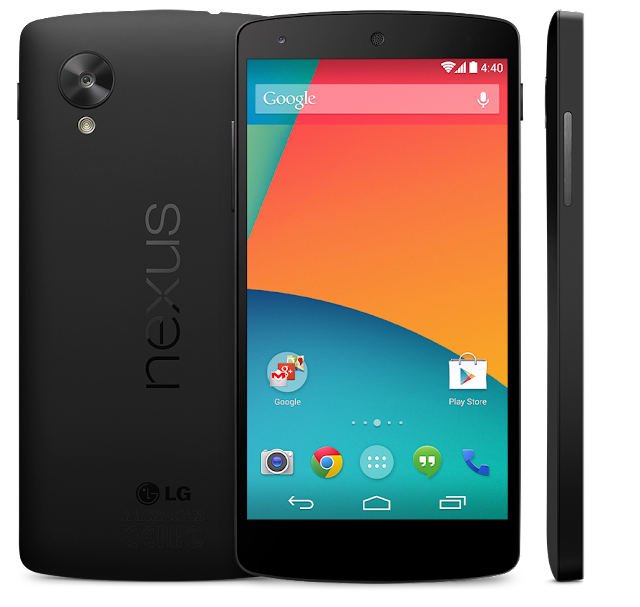 I just mentioned I really like the design of Nexus 5.